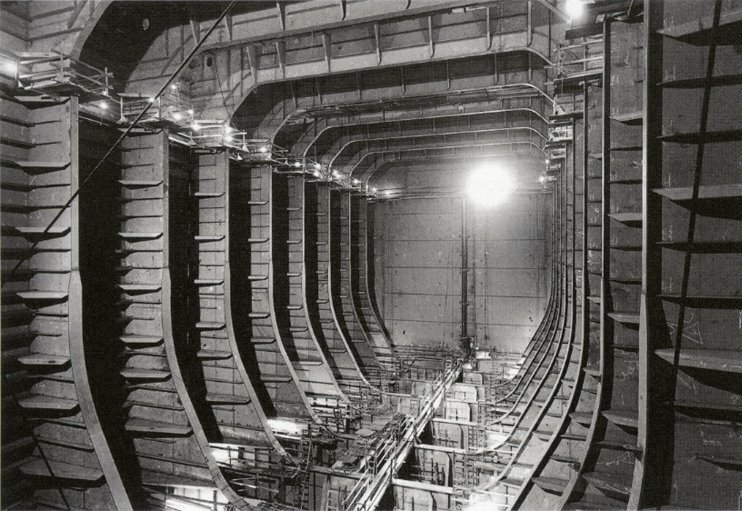 I scanned this interior view of a ship’s hull from a postcard I received yesterday. The voluminous, cathedral-like reinforced buttressing of the ship’s inner hull is all the more remarkable when you realize that this is the Exxon Valdez Under Construction. It does, indeed. Perhaps we should ram King’s College with an iceberg…? Or ram an iceberg with it? And thanks, plx – happy new year!